It's that time again! Happy Thursday fellow readers and bloggers. Throwback Thursday is a meme that we created that highlights a children's book from our past. 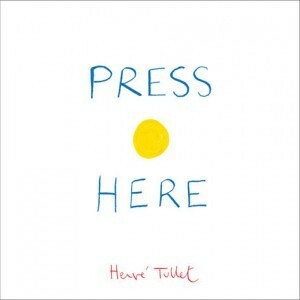 This week's book is Press Here. This book is SO MUCH FUN!!! Bones and I recently just found this book at a B&N. When she told me to play it, I started out trying to hate it, but it's NOT POSSIBLE. This book is amazing! No matter what your age, buy it!